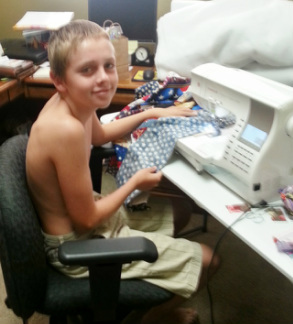 Brenda's grandson making his quilt at Grams house. A member's 12-year-old grandson, discovers quilting while visiting grandma's in the summer. 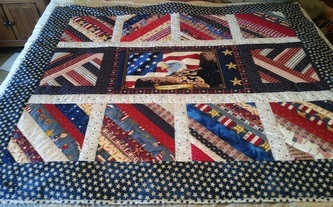 He was hooked and continues making quilts today. 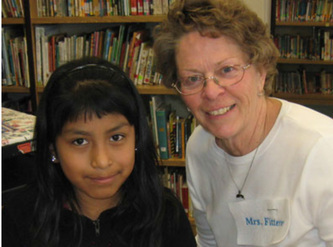 This program and it would not have been possible without the great volunteers: Sandi White, Robin Peterson, Pat Lujan, Marilyn Mains, Carol Rabbit, Levona Barnhart and Carol Bingham. 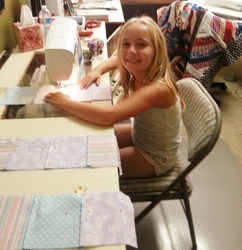 This is the 5th year of the Chino Valley Quilters After School Program , which is held at Heritage Middle school. 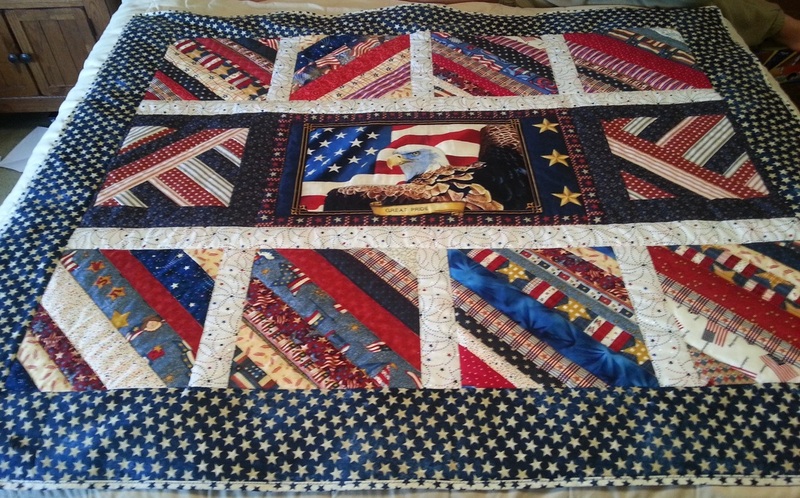 Members of the Chino Valley Quilters work with local schools, youth programs and other organizations to share the craft of quilting with younger generations. 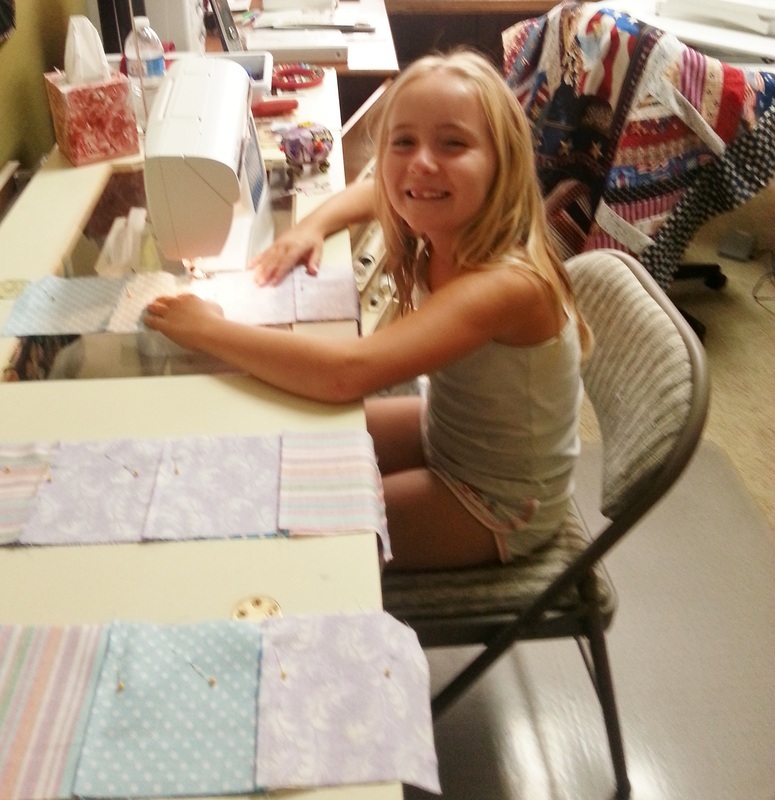 Many of us also find the quilting bug runs in the family, and welcome our own children and grandchildren into the sewing room. 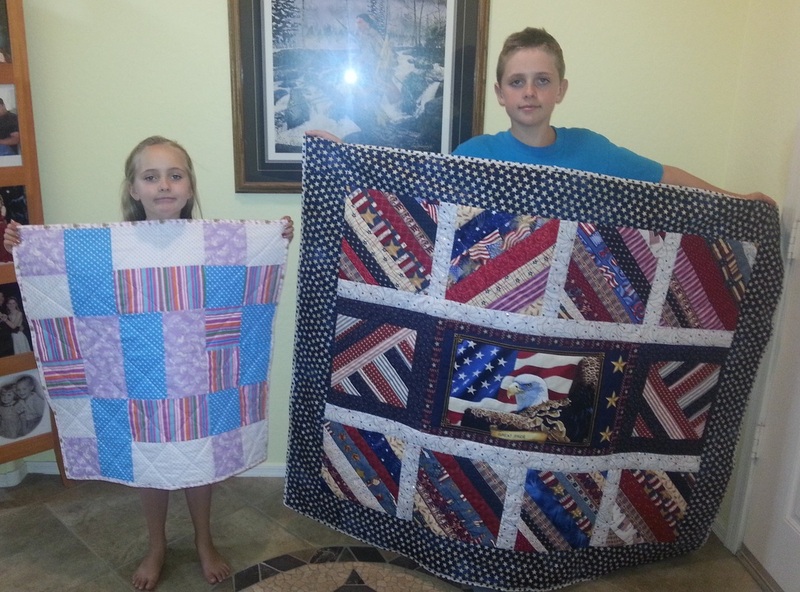 Members of the After School Quilting Club completed their first ever, quilts this May (2015). The program includes 5th through 8th grade students and is sponsored by our local elementary school and the Chino Valley Quilters. Joanne Fitterer of the CVQ coordinates the students and the volunteer instructors. We all had such a great time with the students and hope they all come back again next school year.